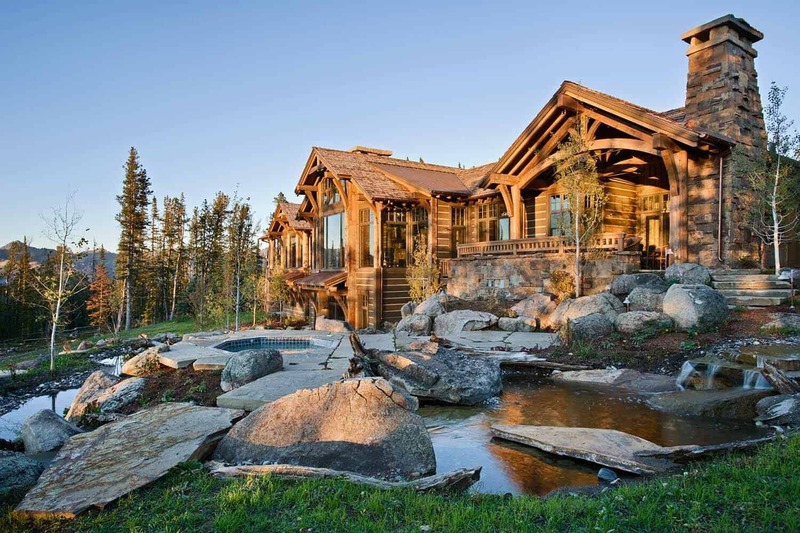 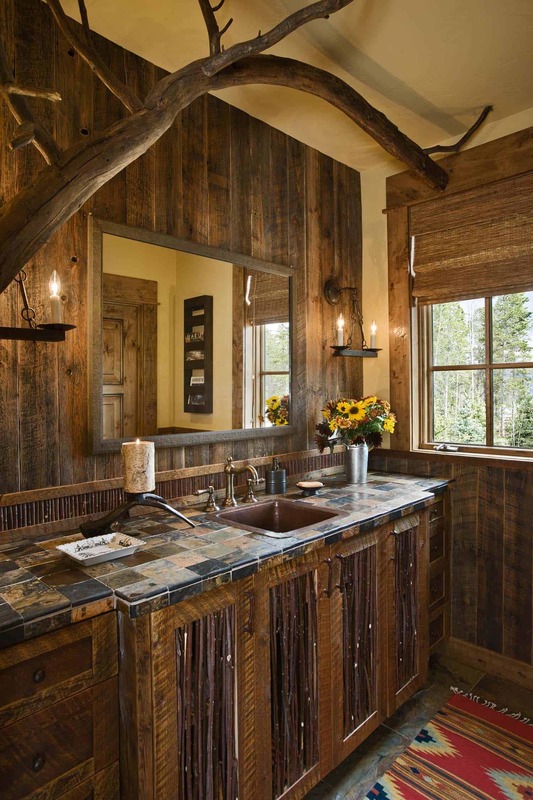 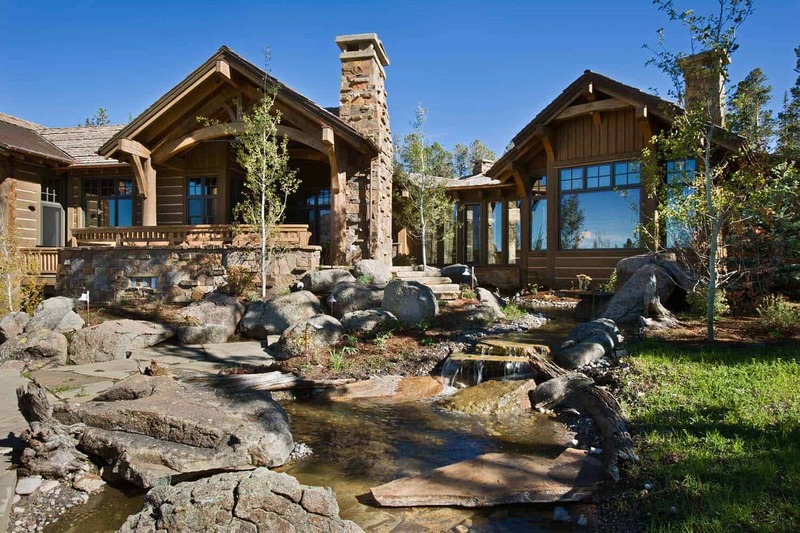 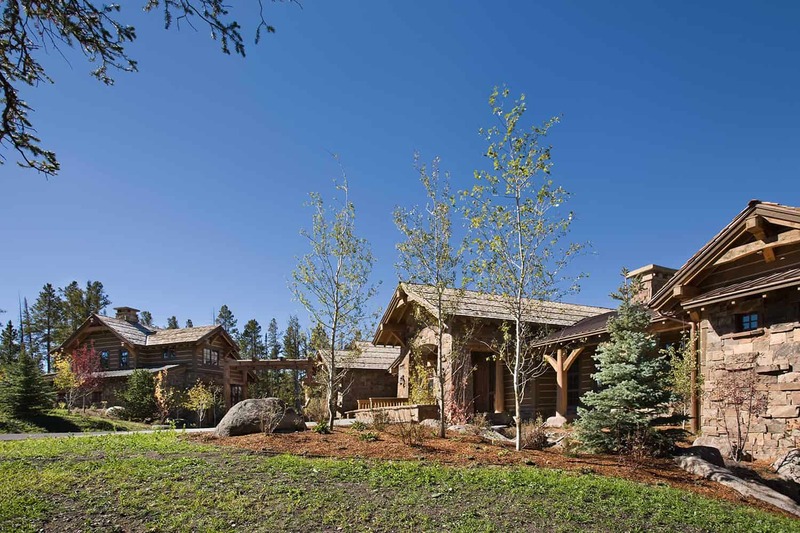 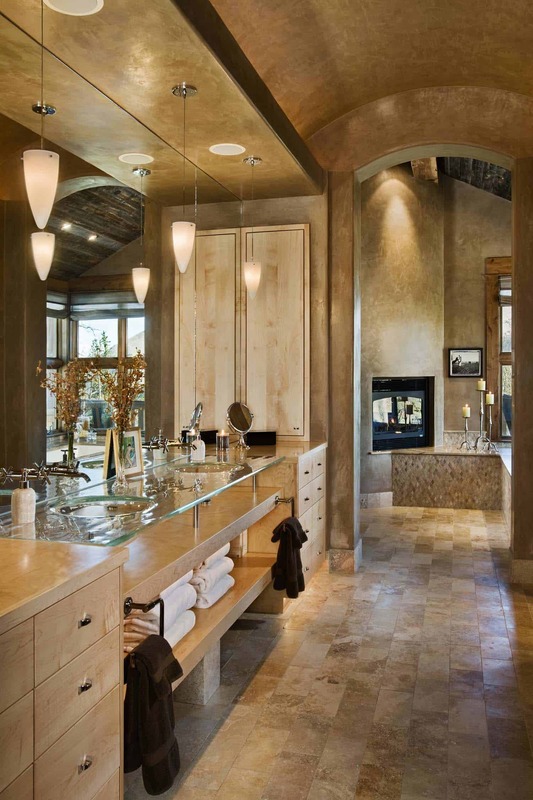 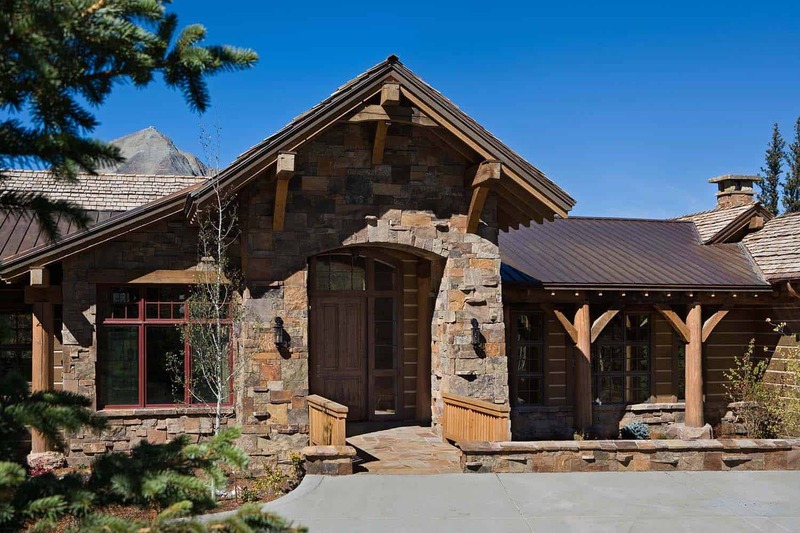 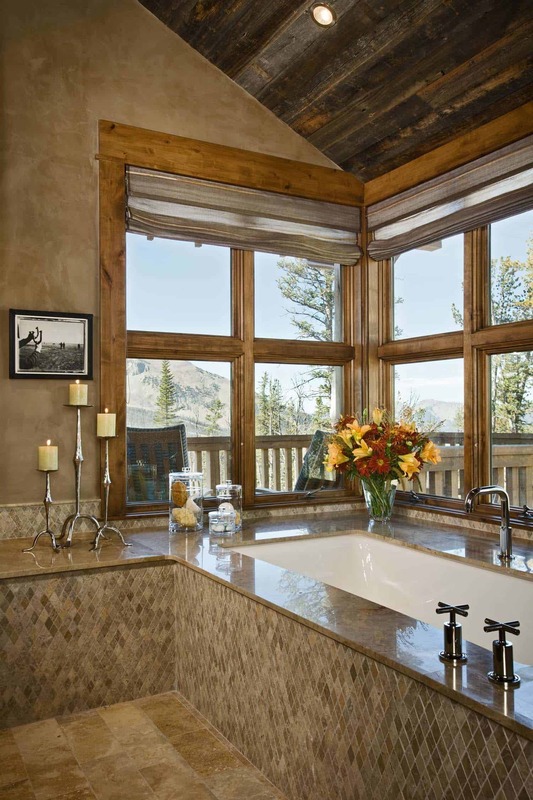 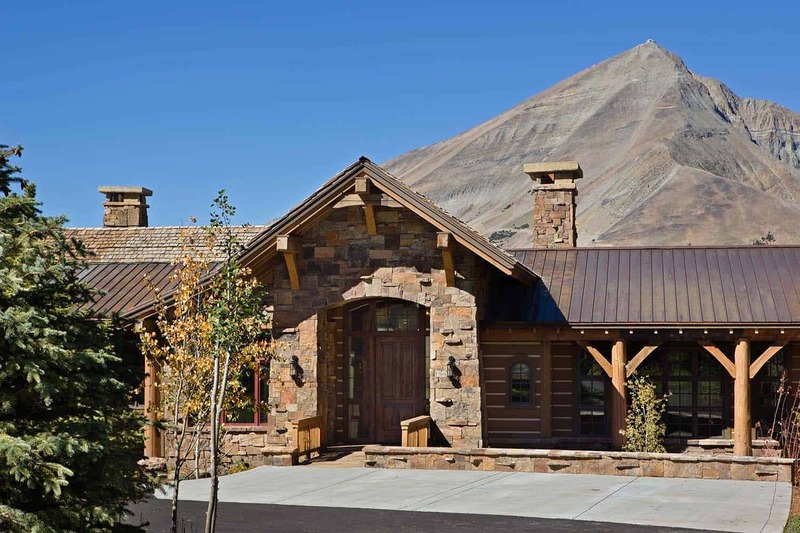 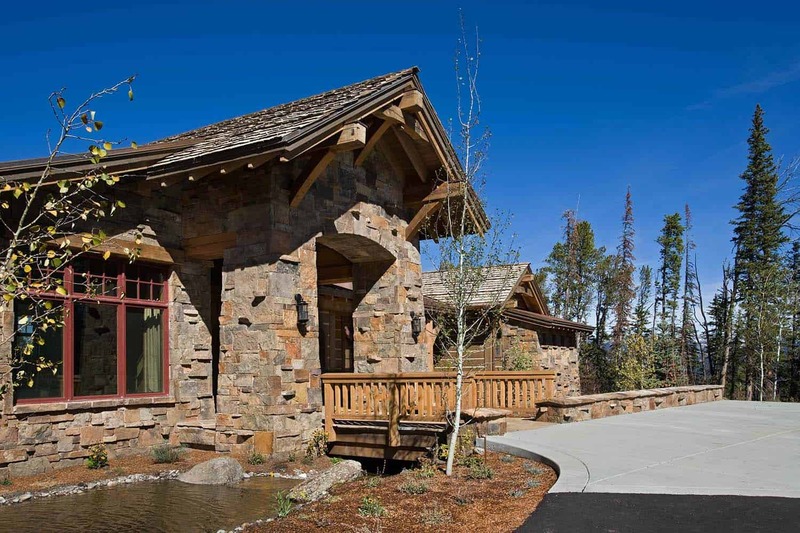 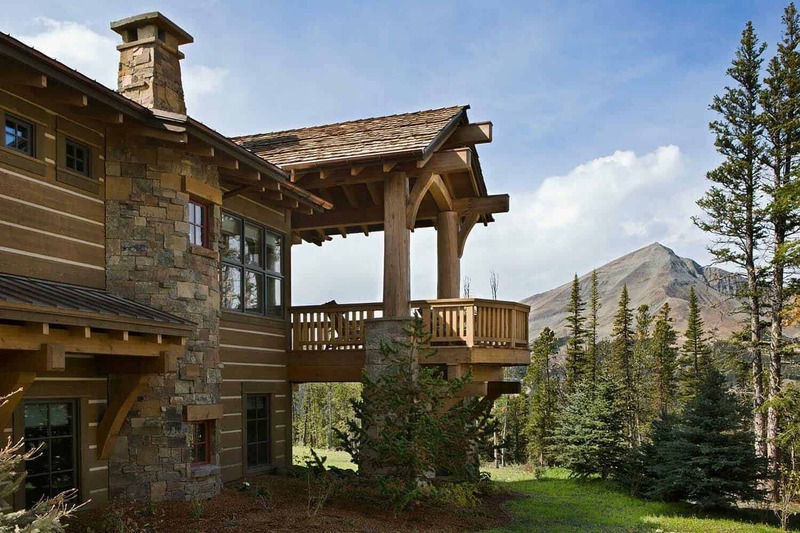 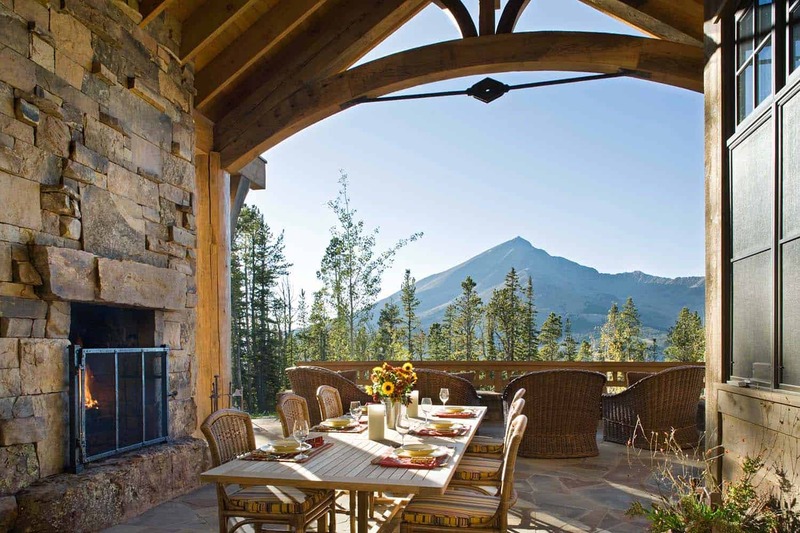 This beautiful rustic mountain retreat was designed by Locati Architects along with Tolstedt Architects, located in Yellowstone Club’s classic Andesite Ridge neighborhood, in Big Sky, Montana. 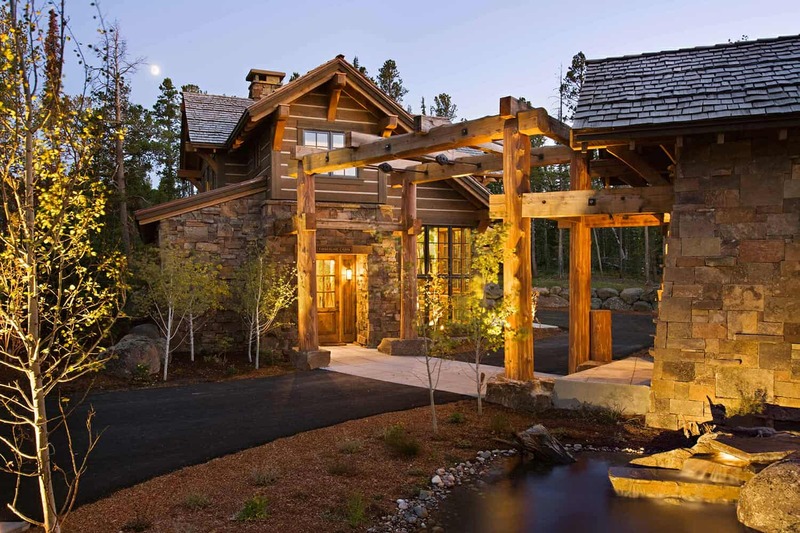 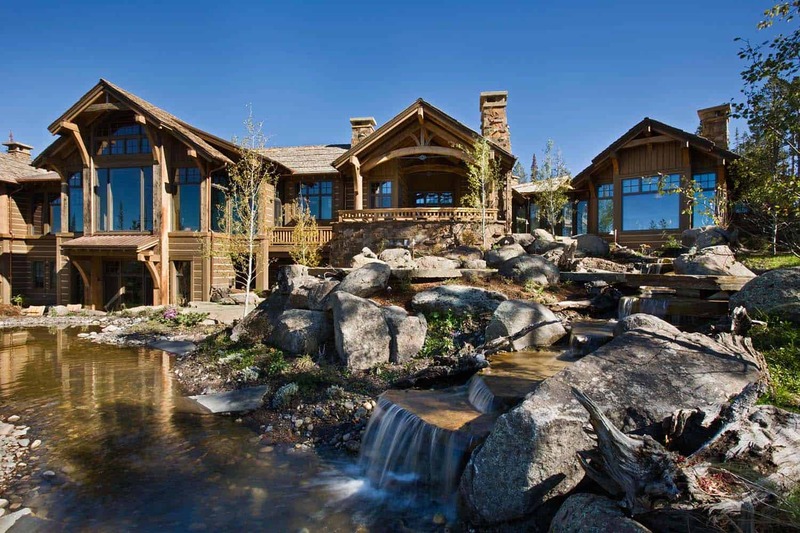 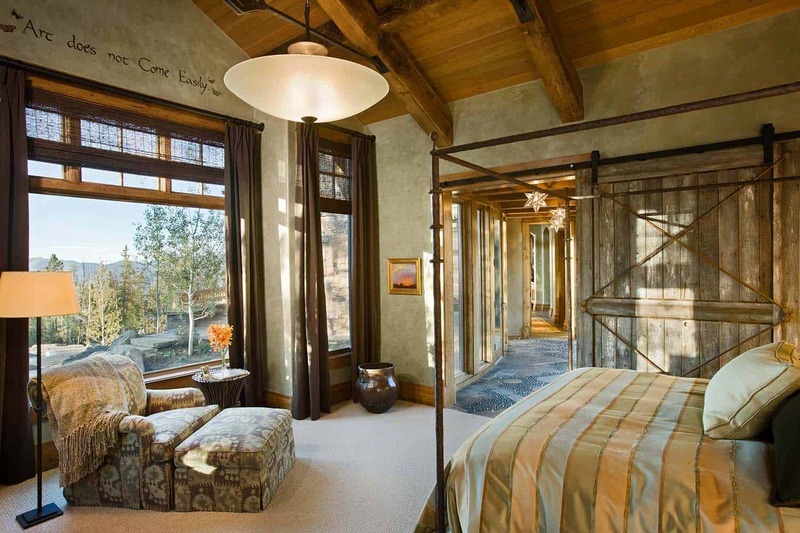 The custom timber frame home is surrounded by the gentle sounds of falling water, comprised of 10,000 square feet of living space the home showcases stunning interiors around every turn. 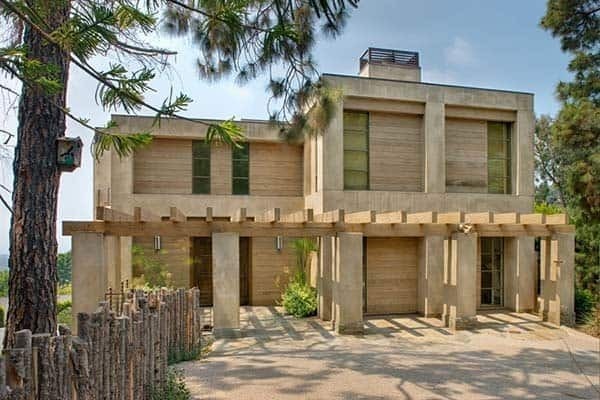 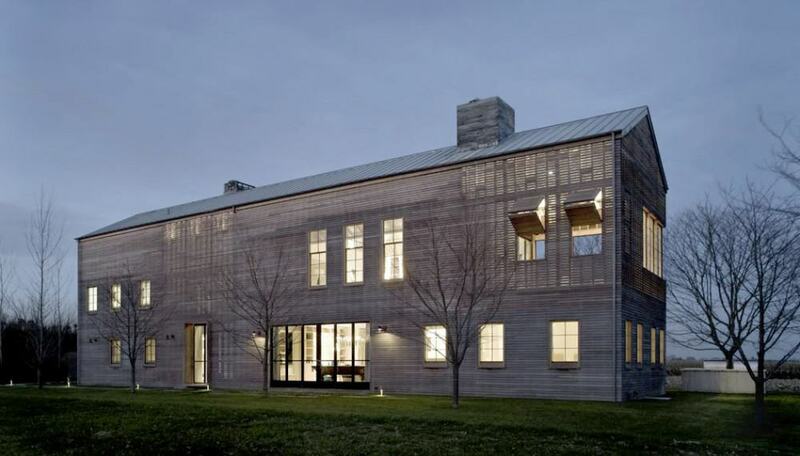 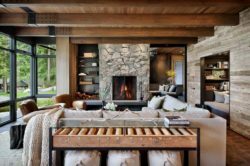 The use of reclaimed heavy timber and local stone was carried throughout the home and used as a backdrop for an eclectic mix of interior design form rustic western to modern simplicity to playful craftsmanship. 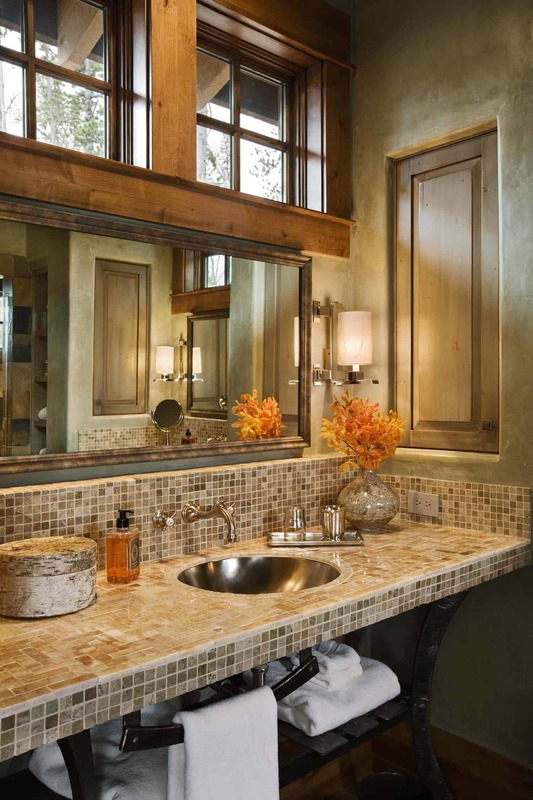 The homeowners took great pride and care in choosing materials, amenities and special features that make friends and family feel welcome. 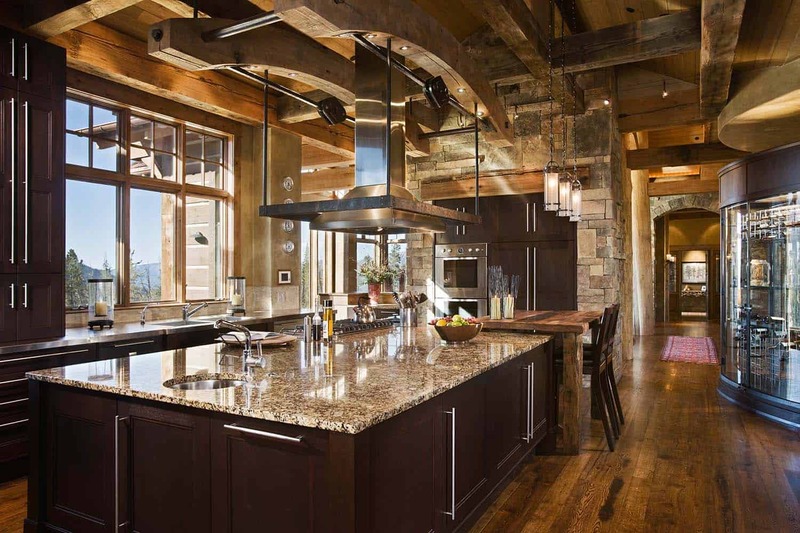 Entertaining is made easy in the impressive kitchen with features like stainless steel countertops along the perimeter and an extra large granite countertop with a built in steamer. 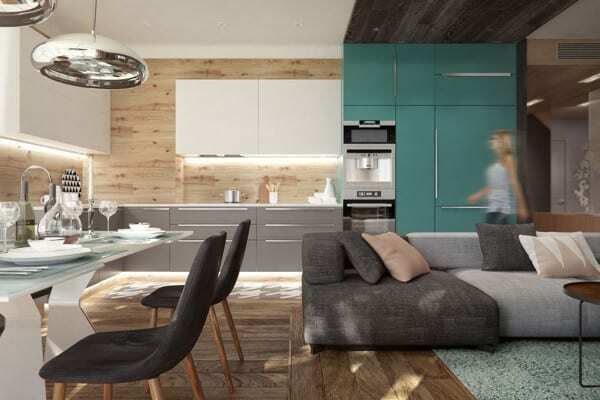 The kitchen is stocked with restaurant grade appliances and the pantry door has a chalkboard panel to leave notes or write the day’s menu. 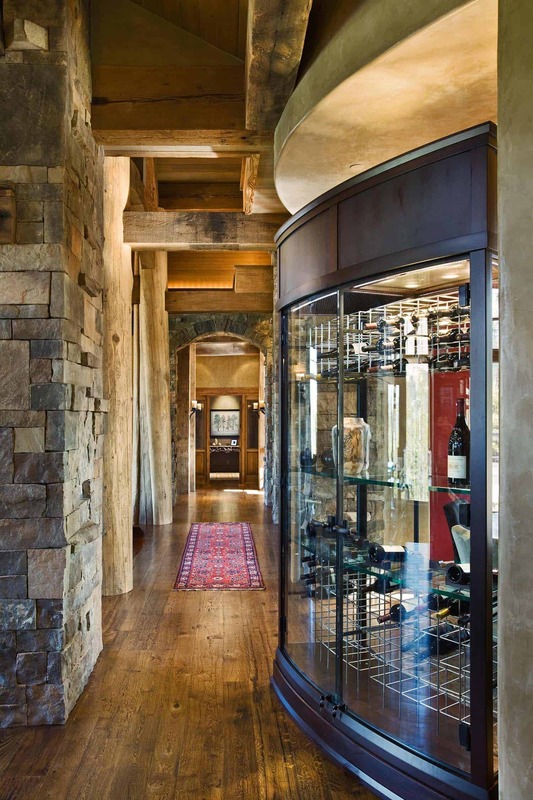 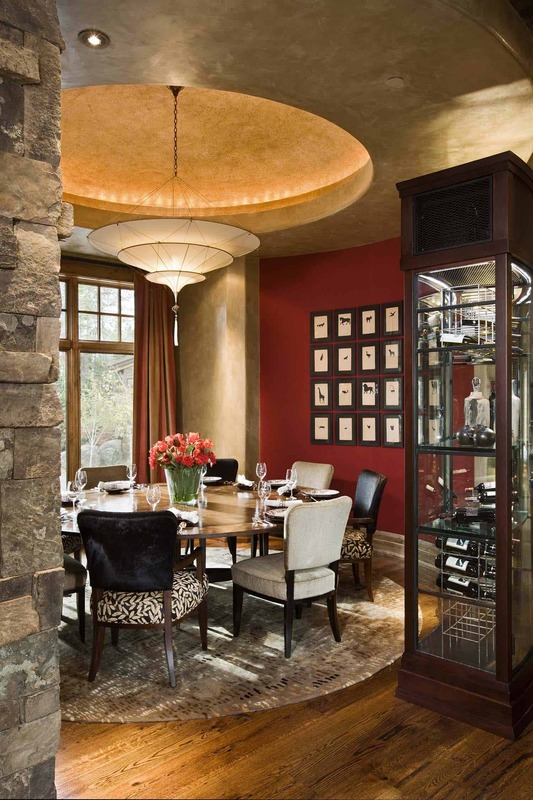 The hallmark of this room is the gently curved wine cabinet with bent glass and mahogany molding with a built in chilling unit. 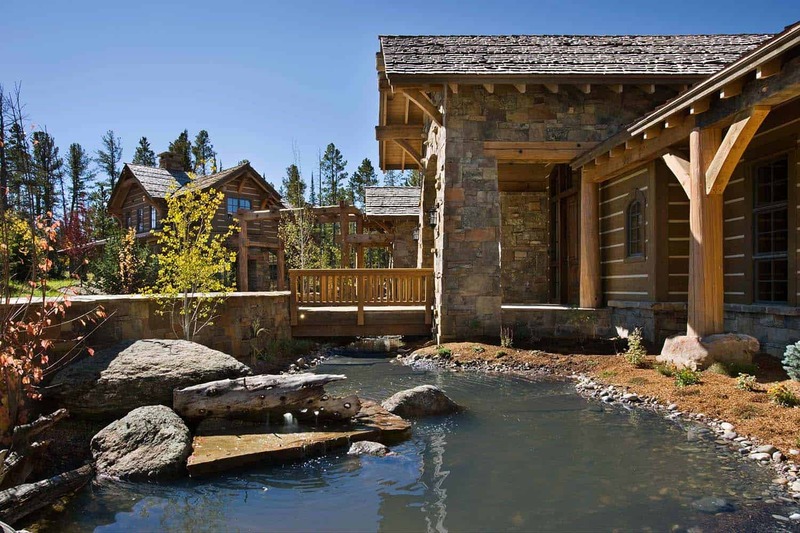 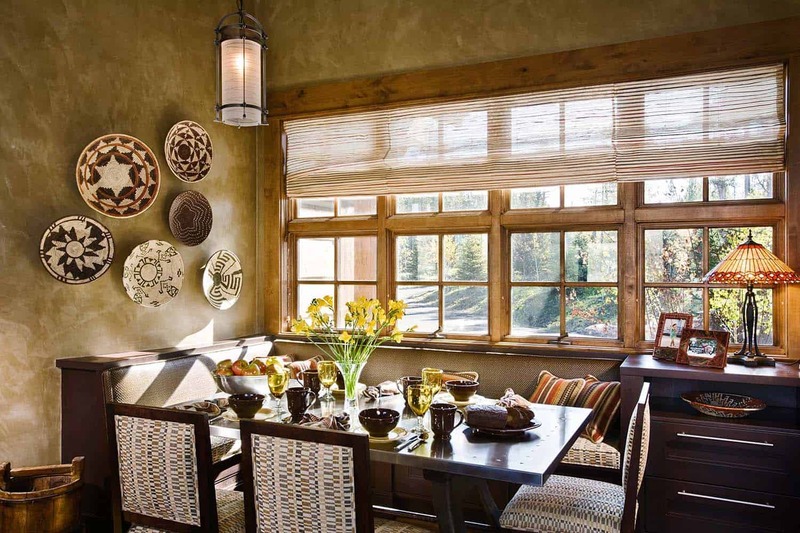 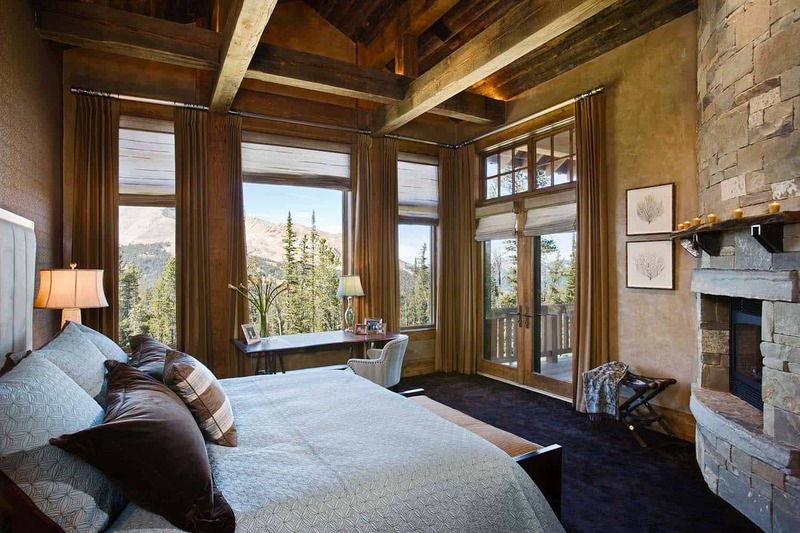 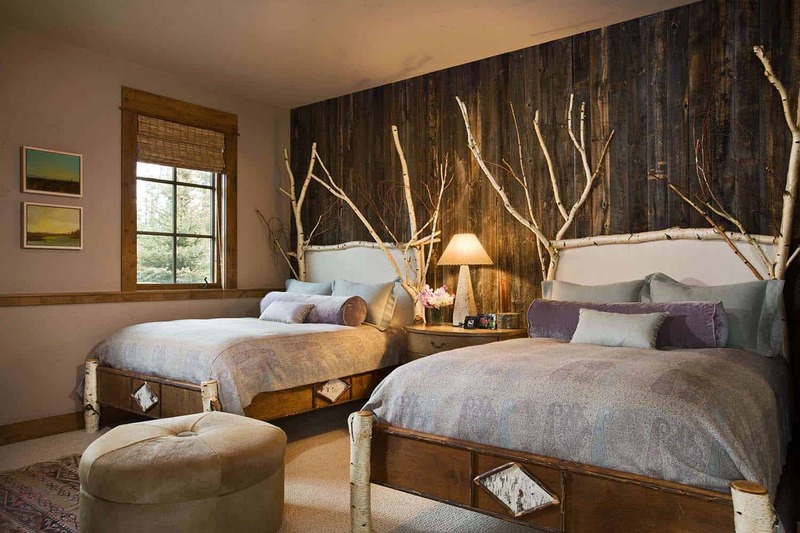 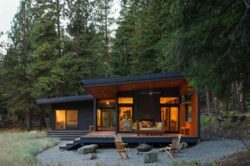 What We Love: This beautiful rustic mountain retreat offers luxurious living spaces both inside and out to enjoy the tranquility of the home’s surroundings. 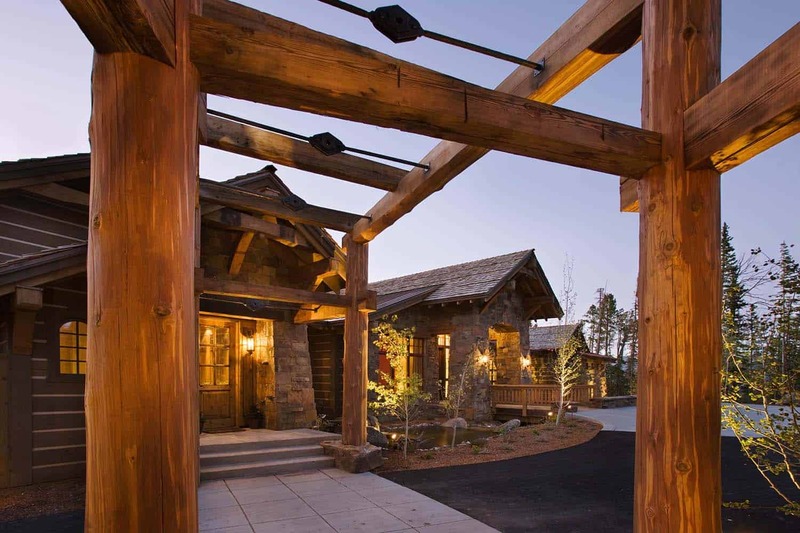 An exterior facade of stone and timber welcomes guests up to this striking home, while the back of the property offers a cascading waterfall and rugged mountain views. 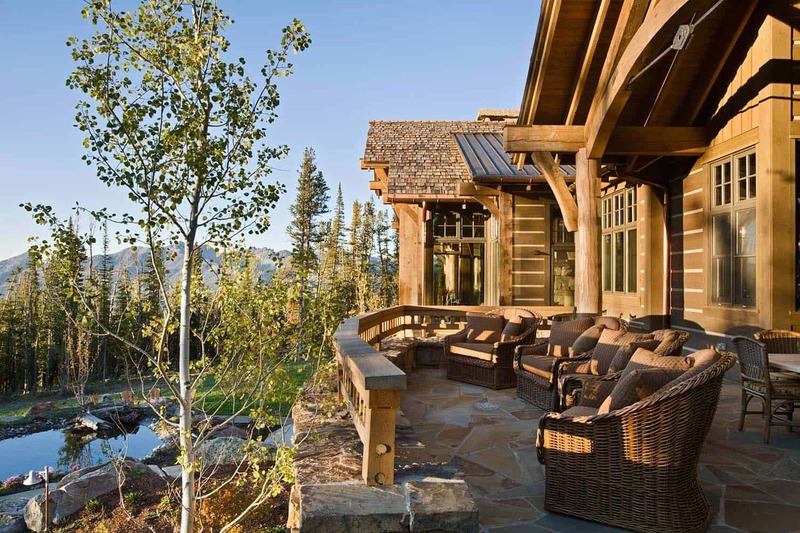 Overall this home is an absolute dream, from indoors to out! 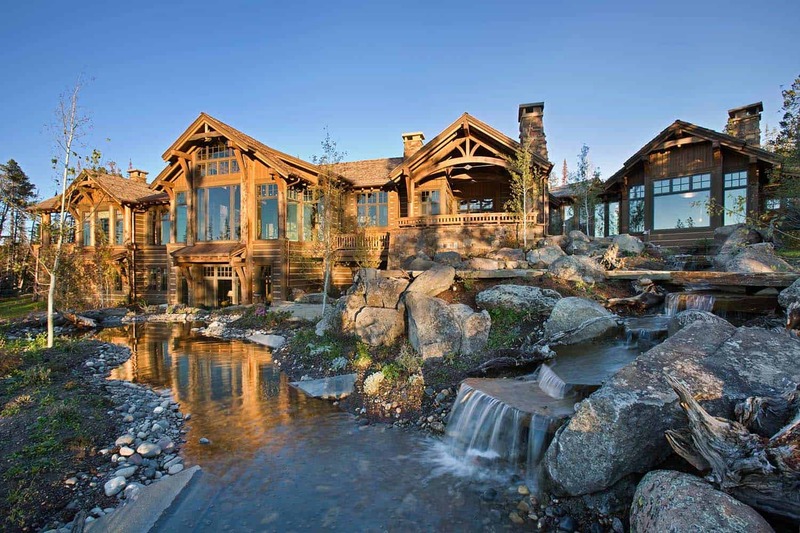 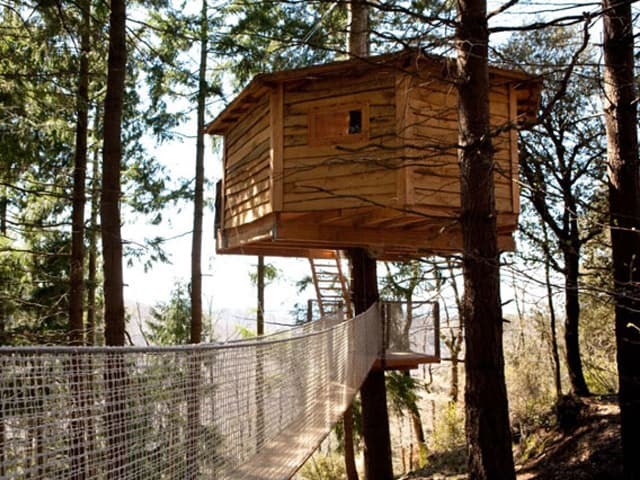 …Readers, what are your thoughts, would this be your idea of a dream home? 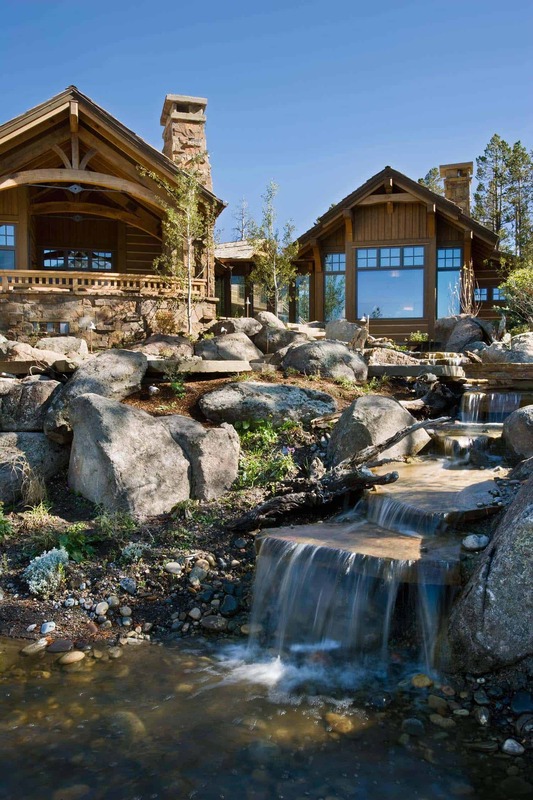 Tell us why or why not in the Comments below! 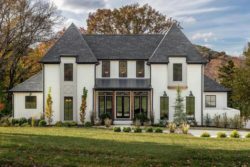 Note: Have a look below for the “Related” tags more amazing home tours that we have featured here on One Kindesign from the portfolio of Locati Architects. 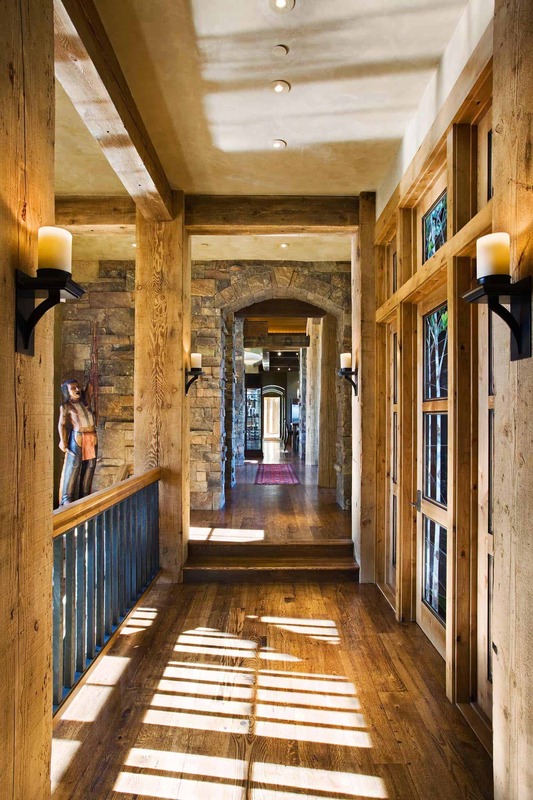 Above: The light fixture in the entryway was purchased from a company called Gustavo Olivieri. 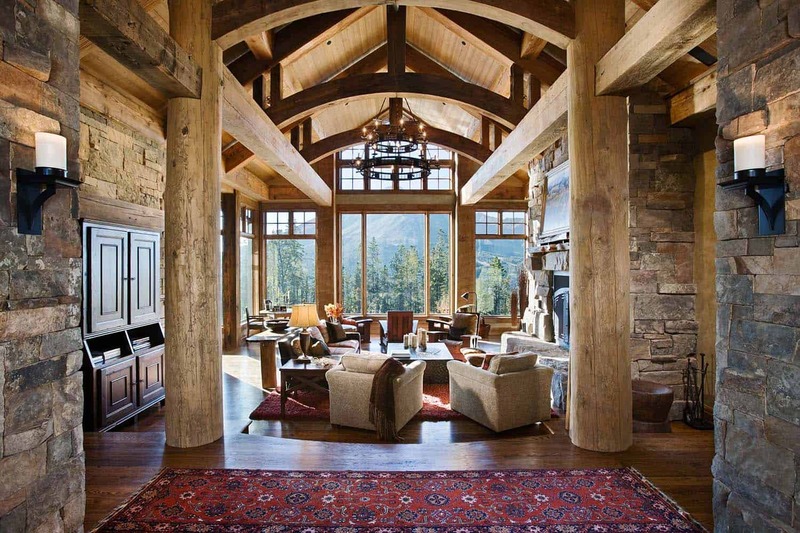 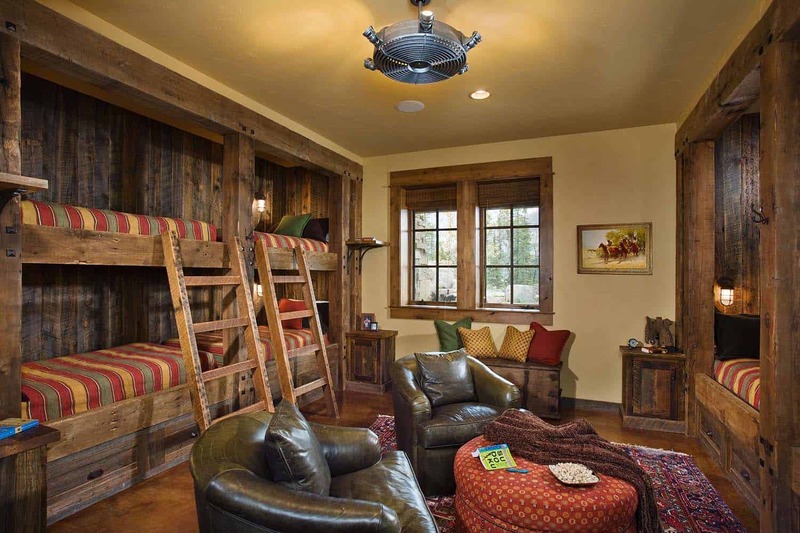 Above: The living area features reclaimed timbers for trusses and perlins and western red cedar log posts. 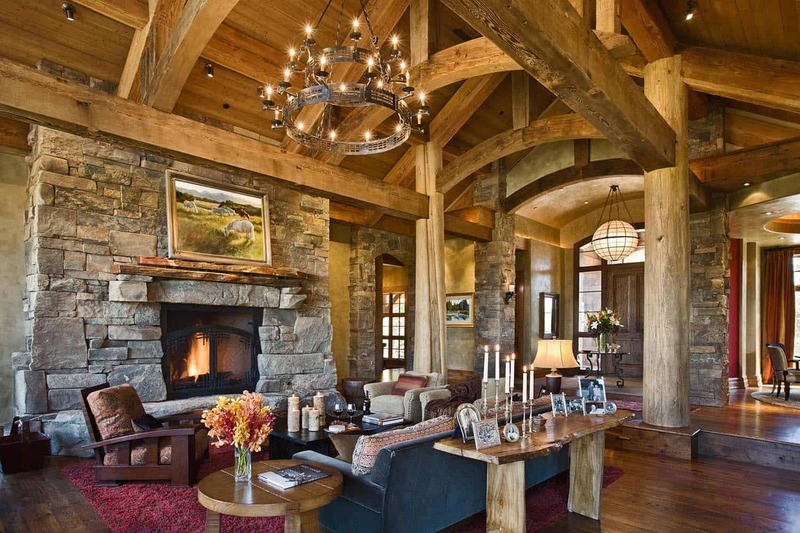 The mantel is made from Juniper wood which is native to the Montana mountains. 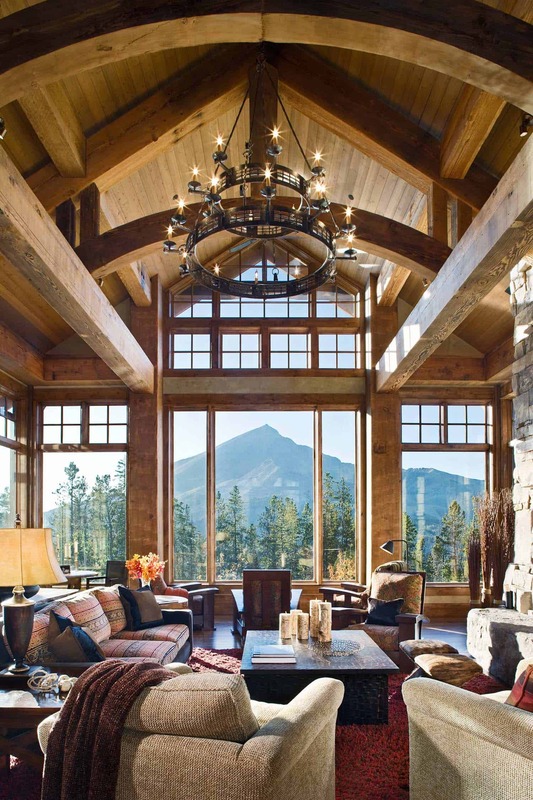 Just as impressive is the one piece hearth stone. 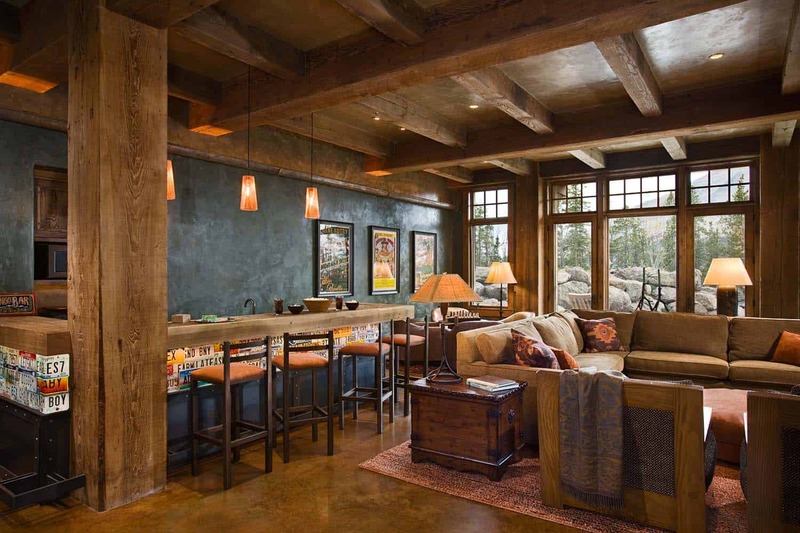 Above: The homeowner’s family room features a wet bar made of reclaimed tin and old license plates. 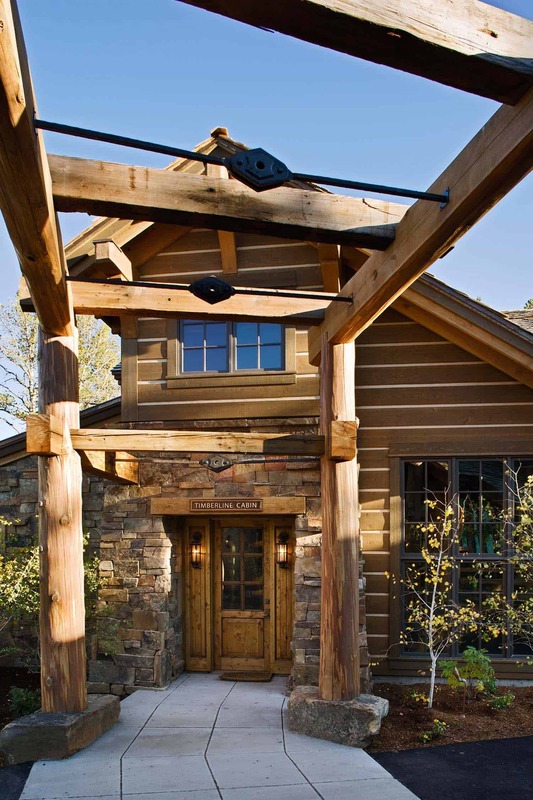 They even encouraged the craftsman to put carvings into the bar for a personal touch. 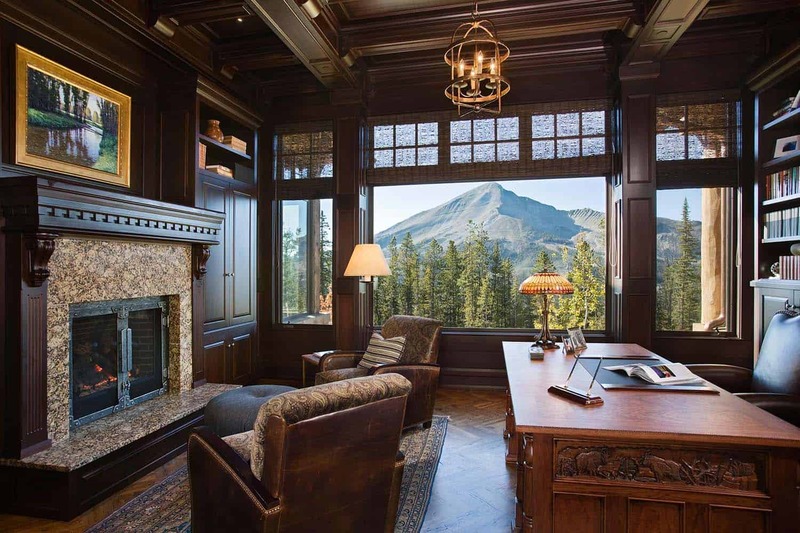 Above: The ceiling light fixture in the home office is the French Candelabra by Fire Mountain Forge in Livingston, Montana. 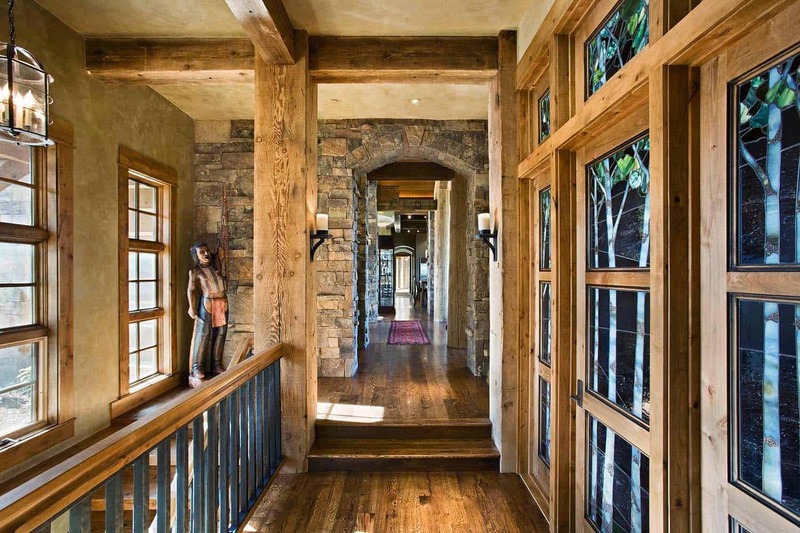 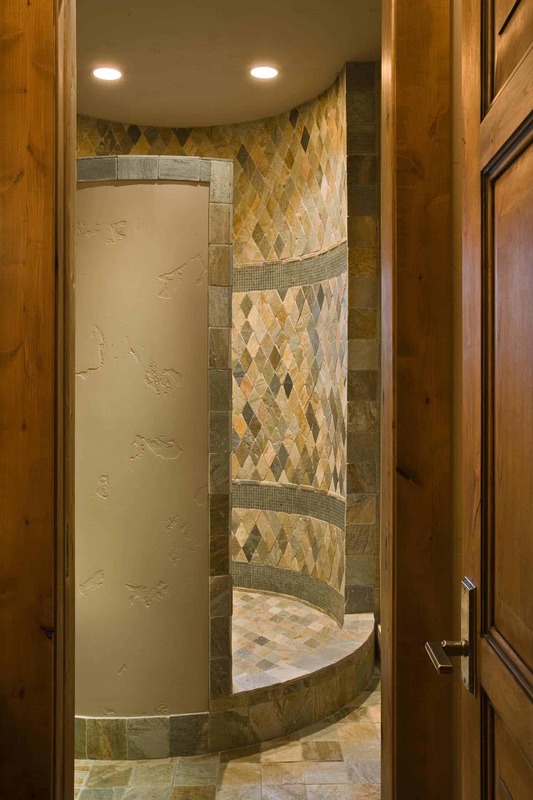 Above: This hallway bridge leads to the guest suite. 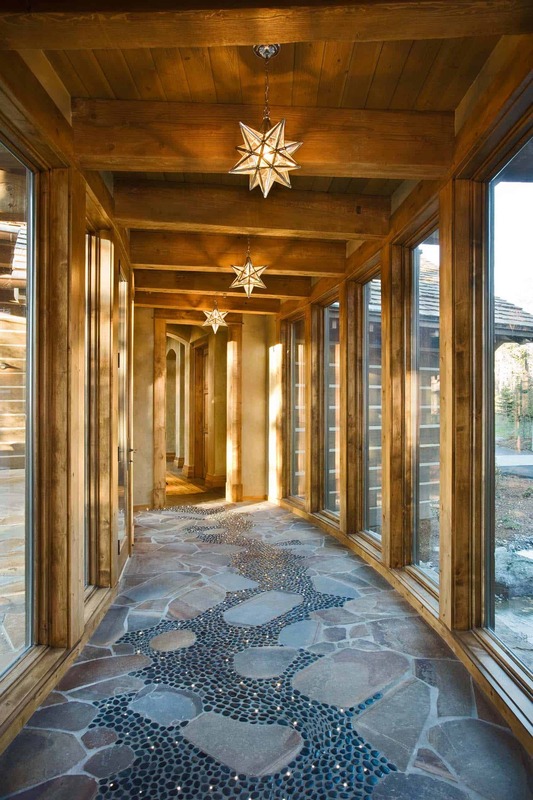 The hallway has a stone and pebble path with inlaid twinkling fiber optic lights. 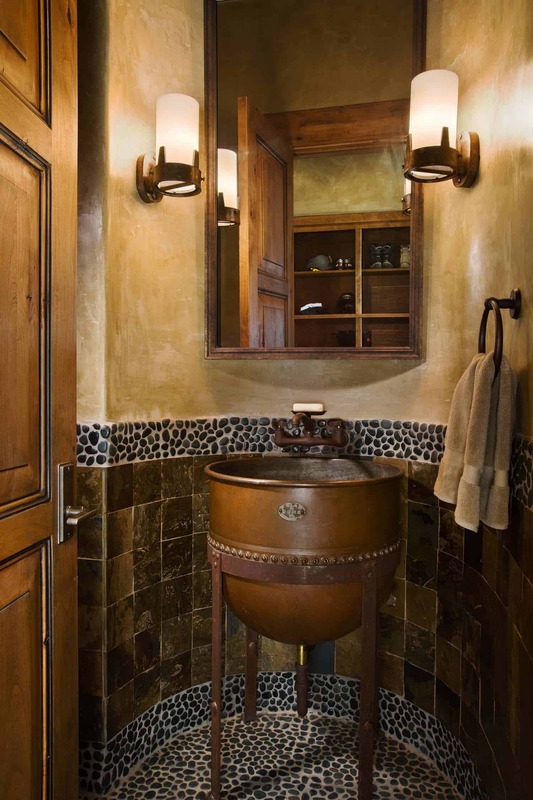 This, in combination with the gently flowing water underneath makes for a magical experience. 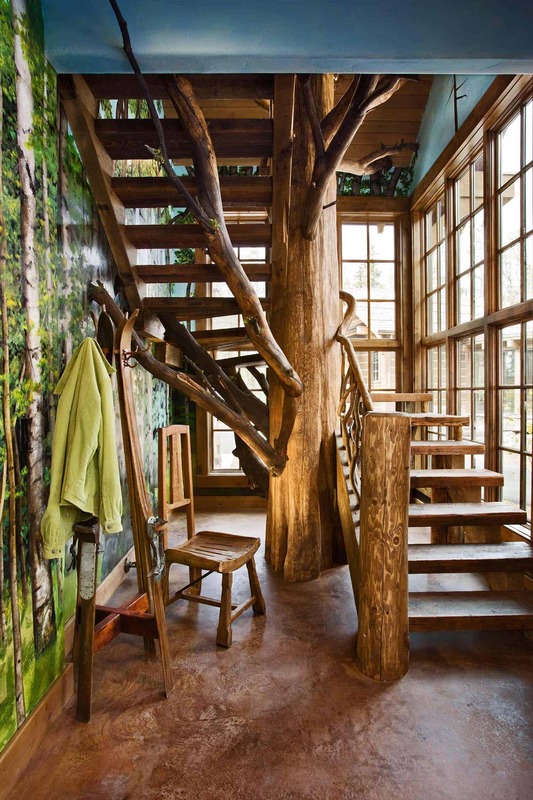 Above: A unique feature to this fabulous home is this custom designed staircase and mural to give the feeling of walking in the forest woodlands.